Although Fall is creeping in around the corner, I'm still enjoying the last few warm days we've been having out here in Canada. Laying out in the sun is one of my favorite things to do when it's warm out. I also like to make sure that while I'm out in the sun for long periods of time, not only am I protected by wearing sun screen, but also that my skin itself is hydrated. I've been using Jergens Moisturizer For Wet Skin for the last couple of months and my skin looks and feels fantastic. I love to stay hydrated and keep my skin hydrated too, so I make sure that I apply lotion as soon as I get out of the shower. It's best to apply lotion on when your skin is damp because it helps lock in the water on your skin to keep your skin hydrated. The lotion contains a new breakthrough formula that blends with water when your skin is most receptive to moisture. I received both Moisturizer For Wet Skin Green Tea Oil and Coconut Oil. They both smell lovely. I love how it applies on smooth and doesn't leave my skin feeling oily or greasy. It goes on and locks in twice the moisturizer in half the time for radiant skin. So even though Summer may be ending, I would definitely recommend using Jergens Moisturizer all year long, especially during the harsh Winters so your skin stays both healthy and hydrated during the cold months. 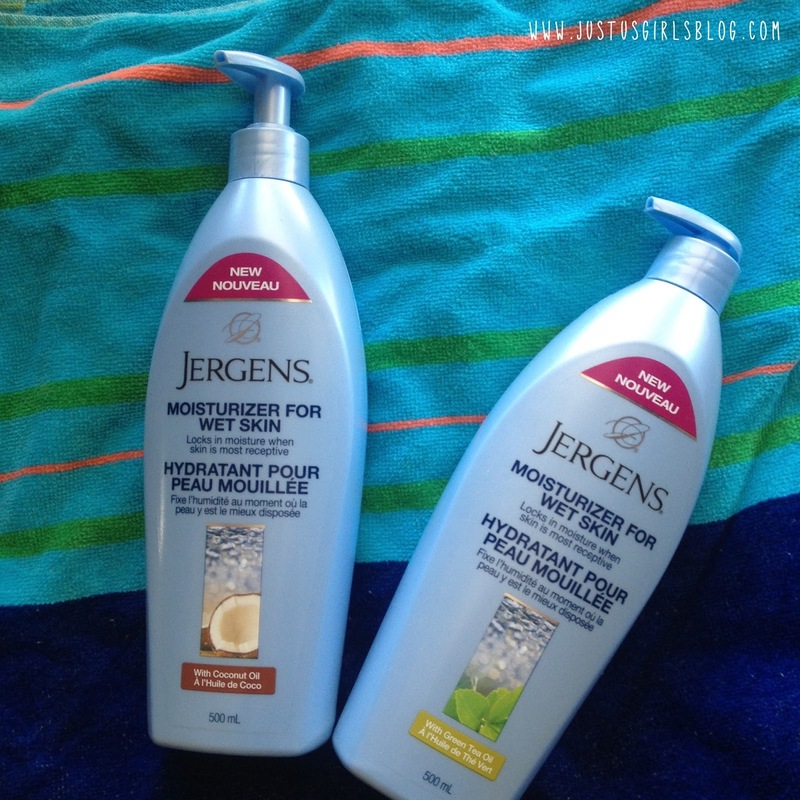 Jergens Moisturizer For Wet Skin is now available at most retailers and retails for $7.97. For more information about Moisturizer For Wet Skin and other Jergens products be sure to head over to www.jergens.ca.